India is a captivating country. With its contrasting landscapes, spicy cuisine, bustling cities and mix of wildlife, it’s one of the most diverse places to visit in the world. Whether you’re in the mood for spotting tigers, visiting temples or market shopping, there’s something special at every turn. It’s a country made for the senses; delight in its many tastes, sounds, scents and sights – wherever you’re travelling to. If you’re holidaying to India, you need to safeguard your trip by taking out some travel insurance. We know, it’s difficult to think about the formalities with something so exciting on the horizon, but the fact is, you never know what could happen. Medical care in India varies depending on where you are, so medical cover is essential when visiting the country. Proper medical care is available in major cities, but this is often privately run and very expensive; in rural areas, access to medical care can be difficult. And sadly, in popular tourist spots like Goa, Agra and Jaipur, theft isn’t uncommon. 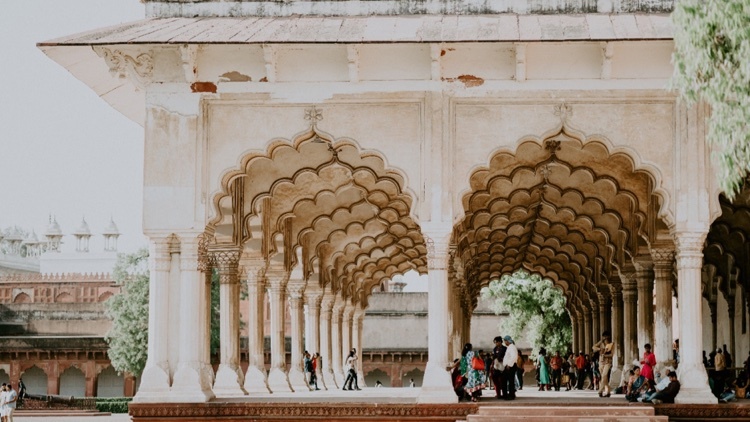 By taking out insurance for your holiday to India with Cover-More UK, you can fully enjoy the experience knowing that you’ve got things covered. Can I get cover for adventure sports in India? If you’re looking for a taste of adventure whilst you’re away, you’ll find it in India. From trekking to paragliding; mountain biking to snorkelling, there are plenty of pastimes on offer for the avid adventurer. What’s more, you can get cover for various sports and leisure activities with our travel insurance. Depending on which of our policies you choose, you’ll be covered for things like mountain biking, sailing (within territorial limits), bungee jumping and paragliding. For a full break down of which sports activities are covered in each of our plans, please read our Policy Wording document. Sounds good! What else is covered? Whether you take out our cheapest travel insurance policy (the Economy Plan) or take out our Diamond Plan to give you the most comprehensive coverage, you can be sure that we’ve got the necessities covered. With international travel insurance from Cover-More UK, you’ll get overseas medical and dental cover, as well as 24/7 access to our emergency assistance professionals. So, whether you’ve lost your passport or need medical care whilst you’re away, we’ll be there to help. And if anything should happen which means you’ve got to cancel your holiday, don’t worry; with travel insurance from Cover-More, you won’t lose out. Plus, if you need to cancel your policy for whatever reason, you can do so with our 14-day cooling off period. Providing that you’re not making a claim and haven’t set off on your trip within that time, you’ll get your money back. You’ll then get your free quote online – it’s as easy as 1-2-3!